This assignment is useful for students who are pursuing Bachelor’s Degree Programme in Library and Information Science from Indira Gandhi National Open University. 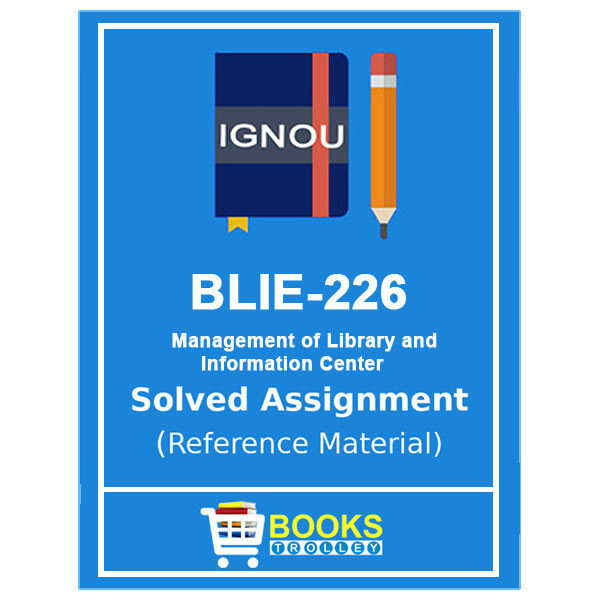 The students may require IGNOU BLI 226 Solved Assignment 2018-19 as reference material to prepare their Tutor Marked Assignment (TMA). This reference assignment of IGNOU BLIS 226 course in English medium will help students in completing their task.